1984 was the Date Derrick Brundege (Dj Dazzle D) came into this world. Only six months after that his parents seperated and went on there seperate ways. Now growing up in a broken home, he relized at a young age that he didn't want to travel the same road. He began his journey to find his innerself. Going through school times got tough and he relized he was different. It was about eighth grade the thought of a possible music career might be his destiny. Through out his life his father had been doing band lighting, and other forms of music entertainment, he then became very interested in the music buisness. After his third year of eleventh grade he decided on getting his GED rather then finish high school. He then started hanging out with a local DJ who is know as DJ Scratch, and was inspired by his intergrety to become one of the best and well know DJ's in the area. Derrick then decided to pursue a college education and move to Nashville TN. He applied for a job as a host at a local Jillians Club. He was then asked to cover for there head DJ, who eventually chose to leave the company. As Derrick's passion for DJing grew he became less interested in his college education. Derrick then dropped out of college and thats when DJ Dazzle D was introduced. As months went by he became the head DJ at the Jillians Club. In the process his personal life was getting complicated with family and friends in NY. He chose to pack everything and head back home. Once back in NY he met back up with DJ Scratch, who inspired him many years prior. In 2005 DJ Scratch asked him to become part of The Scratchmaster Productions Family. They became partners for about a year, and they both decided it would be in the best interest for both parties to go there seperate ways. All though the two decided to travel seperate roads they still to this day work together on projects. In the spring of 2006 Rewind entertainment was born. As head of his own successful company, DJ Dazzle D has recruited six hip hop artist, a christian artist, and another DJ as well. As owner of Rewind DJ Dazzle D puts together his skills through DJing, music promoting, stage lighting, music producing, concert productions and promotions, and other industry related projects. Present day DJ Dazzle D and Rewind Enteratinment are going strong. 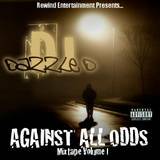 Look for upcoming shows, album releases and DJ Dazzle D's debut mixtape scheduled to release July 07. This is a cover track to What it's like by Everlast. A really great track. LoCo on the first verse, kaotic on the second, and myself on the last verse. Everlast on the Hook. * Your song 'Gettin' over It' has just been added to F.U.C.K. station! * Your song 'Gettin' over It' has just been added to Swissalicious HipHop Station station! * Your song 'Gettin' over It' has just been added to Platinum Hits station! * Your song 'Gettin' over It' has just been added to Kerascene Rap KIAC internet radio station! * Your song 'Gettin' over It' has just been added to DOPE BEAT FREEX station! * Your song 'What It's Like' has just been added to WHAN 24.6 Its Rewind All The Time station! * Your song 'What It's Like' has just been added to If You're Not The Lead Dog... station! * Your song 'Gettin' over It' has just been added to blood metle station! * Your song 'Gettin' over It' has just been added to HipHop station! * Your song 'Gettin' over It' has just been added to This Just In station! * Your song 'Gettin' over It' has just been added to Radio Jones station! * Your song 'Gettin' over It' has just been added to Hip Hop and Rap Selections station! IAC Your song 'Gettin' over It' has just been added to Tha TaylorMade Show station! IAC Your song 'Gettin' over It' has just been added to Hood Tales station! IAC Your song 'Gettin' over It' has just been added to Indie sound of America and beyond station!